It it quite obvious that I have a love of little hands and feet. I try to incorporate Skyler's into artwork whenever I can. It is incredible to go back and look at how much he has changed, even if it is just the size of his hands and feet. 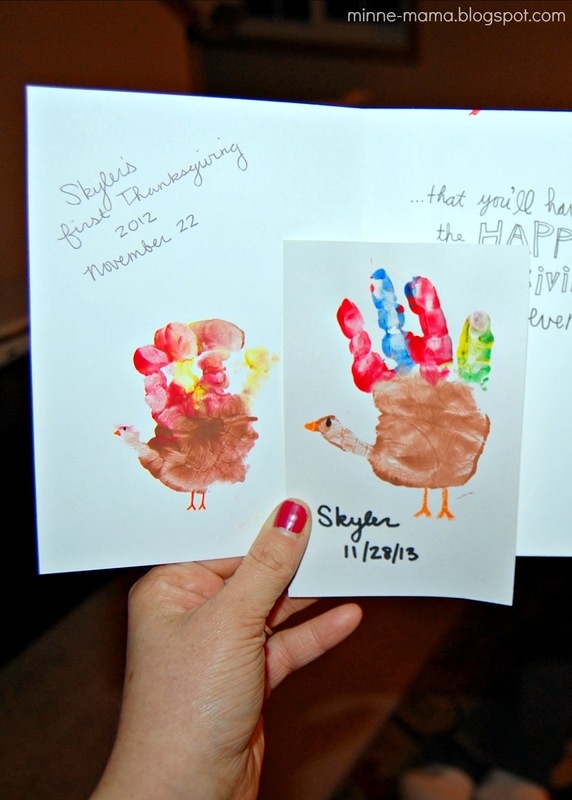 From left to right: Skyler's gift for Father's Day last year, Skyler's hand print from his first and second Thanksgiving (the first was on a card, and then we will add his other prints to the inside of the card), and two Christmas cards we made this year. 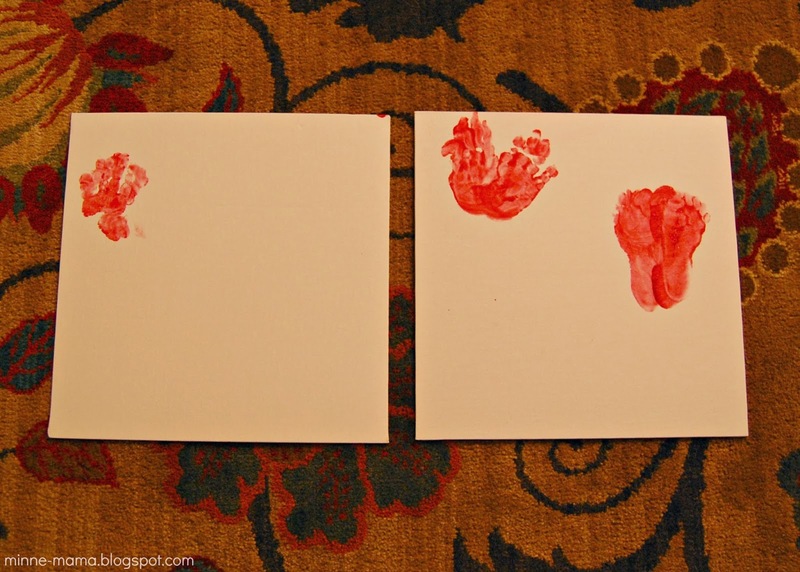 Last year for Valentine's Day, we did foot print hearts and framed them. This year, I wanted to do both hand and feet prints. We used a canvas so that we could display it along with our potato print artwork from last week! 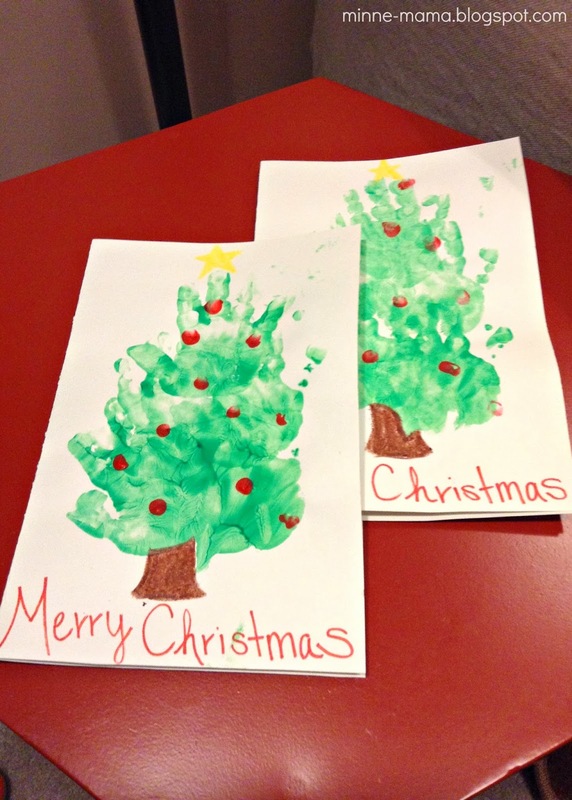 When we started this project, we tried to print straight onto the canvas, and similar to the Christmas canvas we did, it was challenging to get the hand and feet prints right where I wanted them. So, we ended up with two canvases that had attempted prints on them. Luckily, I already had plans for another canvas and was able to salvage both of these. This is what we started with. 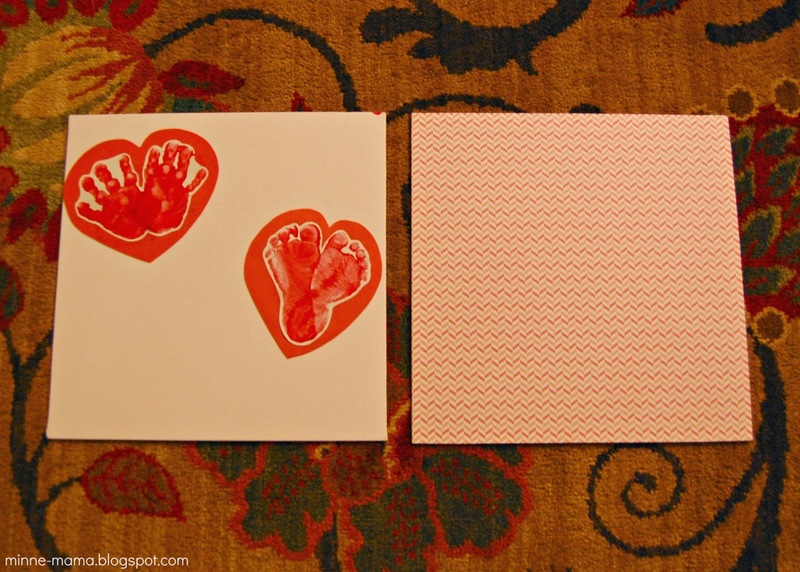 For this project, we made the hand and feet prints onto paper, I cut them out and put them onto pieces of foam, which I cut out into heart shapes. This solved the canvas on the left, and the canvas on the right got some cute scrapbook paper and will be finished and discussed in a future post. 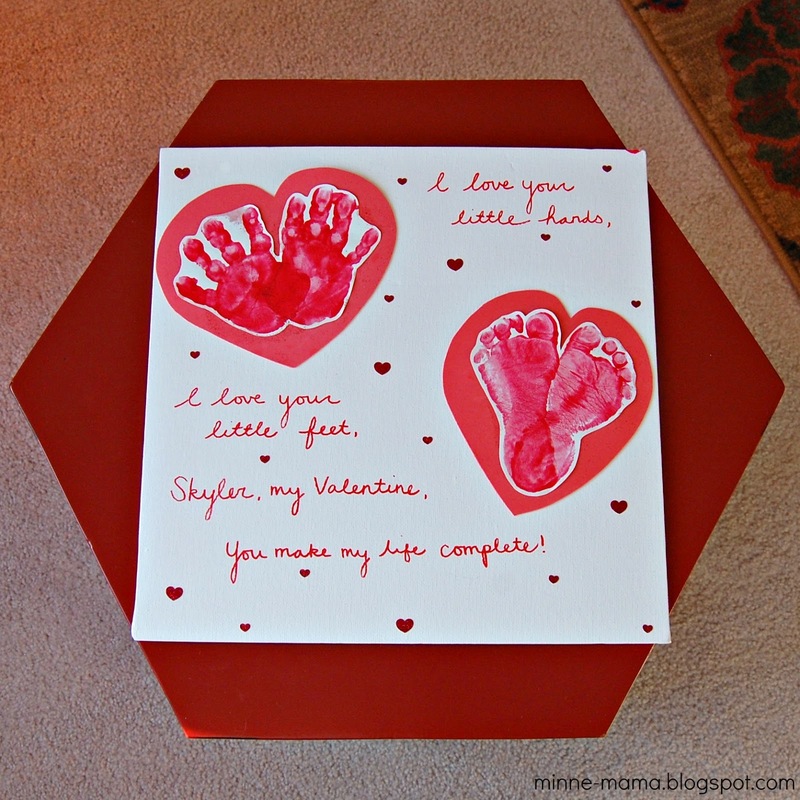 To finish our hand and feet printed canvas, I wrote a little Valentine to my baby boy and added some cute glitter hearts. 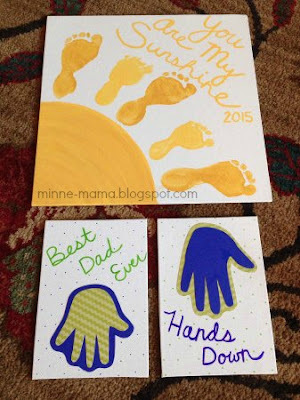 I love the look of the finished canvas on our shelf, and this would be a very easy project to make for a child's teacher, or to create at a childcare center for parents. 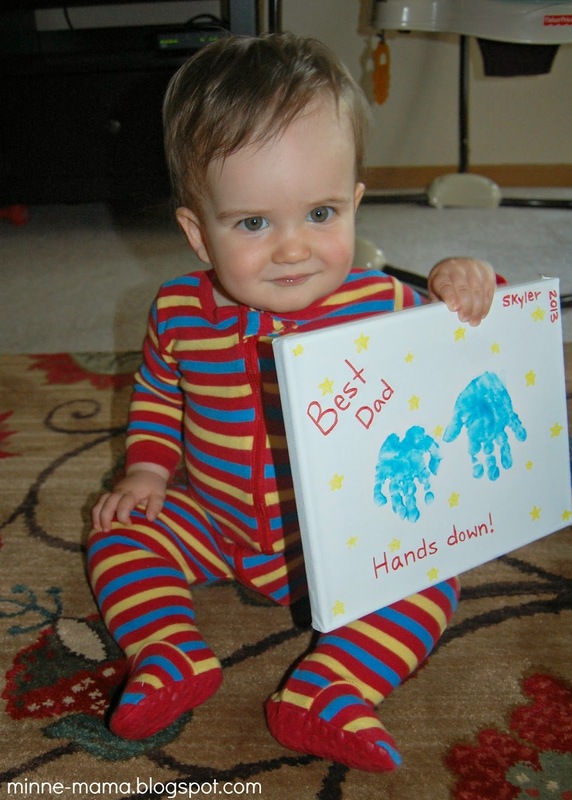 The canvas reads: "I love your little hands, I love your little feet. Skyler, my Valentine, you make my life complete!" For a teacher or parent gift, the words could easily be changed to "A heart made from my hands (or here are my little hands), a heart made from my feet (here are my little feet). (Teacher, or Mom and Dad), you make my life complete!" The canvas is helping to fill our shelf. 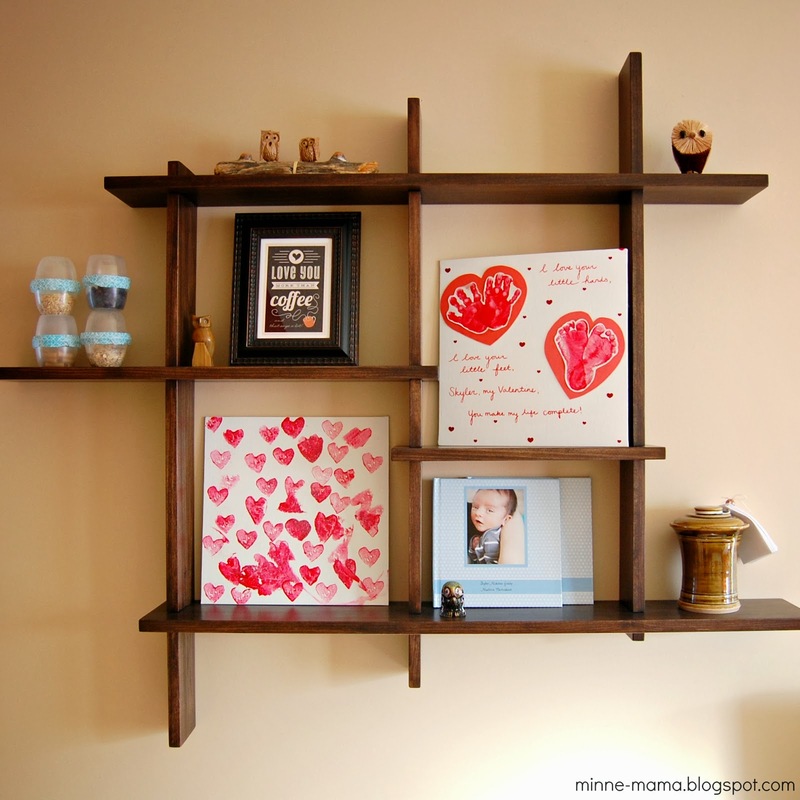 I have many ideas for the shelf, and soon it will be completely decked out with Skyler's Valentine creations, including our last canvas artwork! 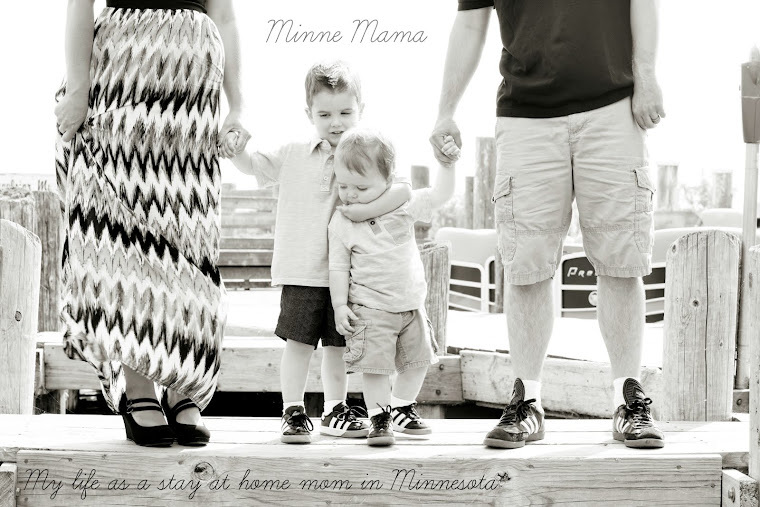 Edit: Since I included our past Father's Day print on here, I thought I would post our updated version with both boys! We made hand and feet print art to include with Joe's Father's Day care package. 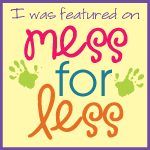 I follow your blog on Facebook and love it! I just discovered the Weekly Kids Co-Op and have really enjoyed checking out all of the great ideas the past few weeks.